The University of Washington installs their second Spacesaver mobile storage system—20 years after their first. Researchers now have fast, immediate access to 1.9 million small bones in 12,000 boxes. 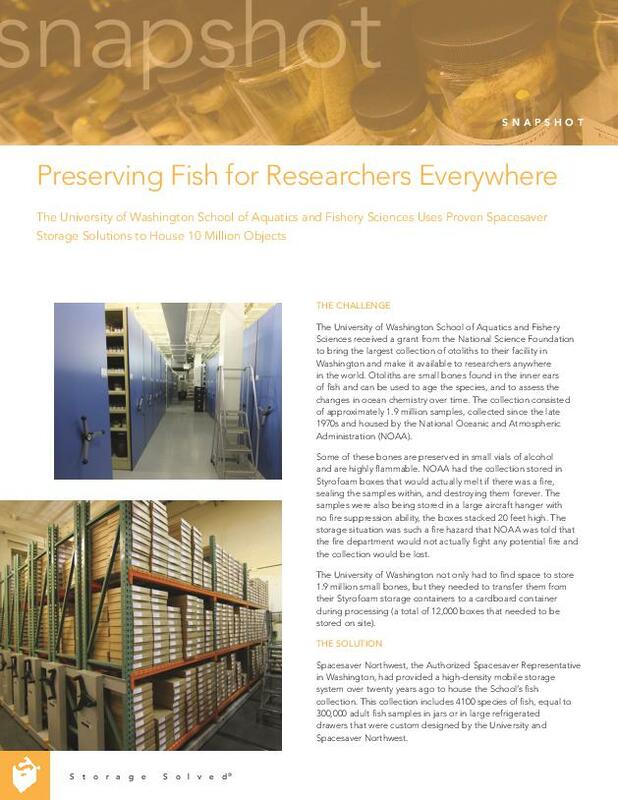 The University of Washington School of Aquatics and Fishery Sciences received a grant to bring the largest collection of otoliths (small bones found in the inner ears of fish) to their facility in Washington and make it available to researches anywhere in the world. The University of Washington not only had to find space to store 1.9 million small bones collected since the 1970s, but they needed to transfer them from their Styrofoam storage containers to a cardboard container during processing (equating to a total of 12,000 boxes that needed to be stored on site). Spacesaver Northwest, the authorized Spacesaver Representative in Washington, had installed a high-density, refrigerated mobile storage system over twenty years ago to house the School’s fish collection. This system is still actively in use and being accessed on a daily basis. Due to this successful, long-lasting installation, the School knew exactly who could help them solve their latest storage challenges. 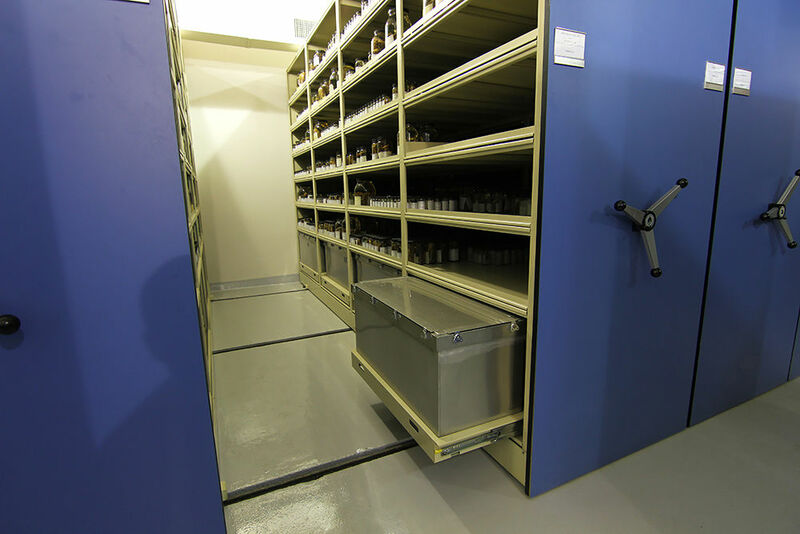 Spacesaver Northwest recommended ActivRAC 7M outfitted with standard industrial grade racking to store the massive otolith collection. The rail used with ActivRAC 7M® is anchored right into the unfinished concrete, which means no raised floor or grouting was needed to complete this mobilized storage installation. This helped keep costs down for the University and meant that the room didn’t need to be altered prior to the installation. Currently, the 12,000 boxes of samples fit easily in the new ActivRAC 7M system and has room to house upwards of 17,000 boxes. Because the racking system is only ten feet high, there is also room to add shelving vertically.